In 1957 my Dad broke his back and was unable to work, so being a strong willed man and loving the outdoors, both hunting and fishing, he started making fishing lures in his shop out back. He was a big man so everyone called him "Big Al". What started over 40 years ago as something to keep him busy turned into a "mom and pop" fishing tackle business in their home. My Dad passed away in 1993 and Mom continued the business on her own until she passed in 2006. Fifty percent of all the fishing tackle is made by hand. My Dad wanted to make a quality product at a fair price and, most importantly, a product that would catch fish. In 2009 I made the move to continue the family business. I was named after my Dad and believe in the same values that he did. So the business is open and continues in the family tradition of producing quality fishing tackle, and now offers live bait. We make custom hand made, hand tied, hand painted fishing lures. From melting the lead, to dotting the eyes, to tying the wires, it's all done by hand. All of these lures have been tested at local lakes, ponds and rivers and have proven to be effective, not only in catching fish, but also in their durability. A lot of the lures that I make cannot be found anywhere else and have been tested to master catching fish of all kinds and species. Another idea that I introduced into the company is home of "make your own lure". We carry my home made lures and other popular lures but you can make your own lure by selecting parts to be assembled into a color or style of your choice. We now also carry live bait and a selection of fishing accessories. The inventory changes month-to-month whenever I come up with new ideas for a different lure or accessory. Big Al's also has, along with custom fishing lures - rods and reels, fishing line, corks, steel leaders, swivels, dip nets, cast nets, portable live wells, wire Texas rigs, bottom bumpers, doll flies, road runners, trout flies, jig heads of all sizes, poppers, crank baits, beetle spins, buzz baits, inline spinners, spoons, all hook sizes, stink bait holders, frog gigs, knives, stringers, air pumps, fish skinners, rod bells, rod tips and eyes, lantern mantles, a large selection of 4-10" bass worms, a large selection of grubs, tubes, skirts, Zipper worms and jigs. Before long I hope to have pictures and prices [posted for everything I stock. If we don't have what you need, we can order it. Just let us know what you're after. 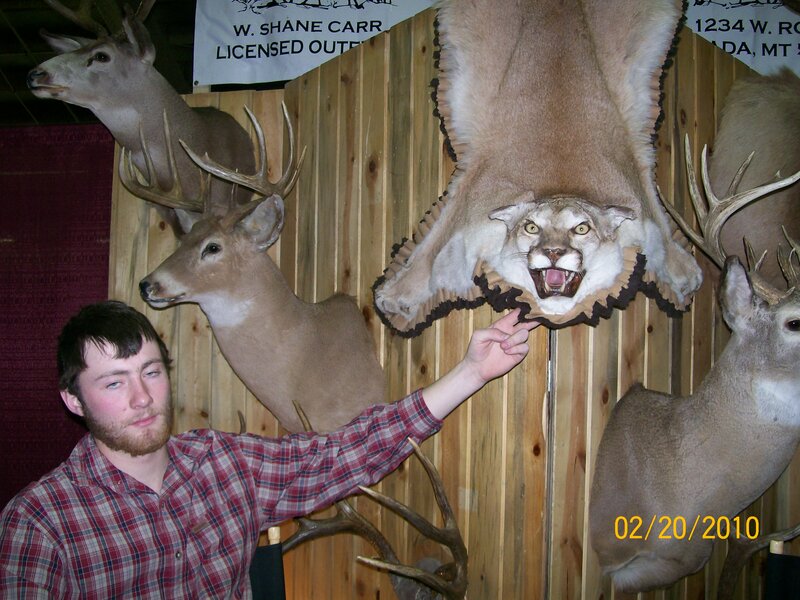 Big Al's also has a long history of Hunting. And starting in 2014-2015 Season I am asking for the help of My Fishing Customers. Give us a chance to save you money and give Big Al's some Business. Big Al's being a Bass Pro Dealer We can help are Customers with Fishing,Camping,Hunting,Boating and all of your outdoor needs. With over 40 years of Hunting I have made some great contacts with Guide Services. 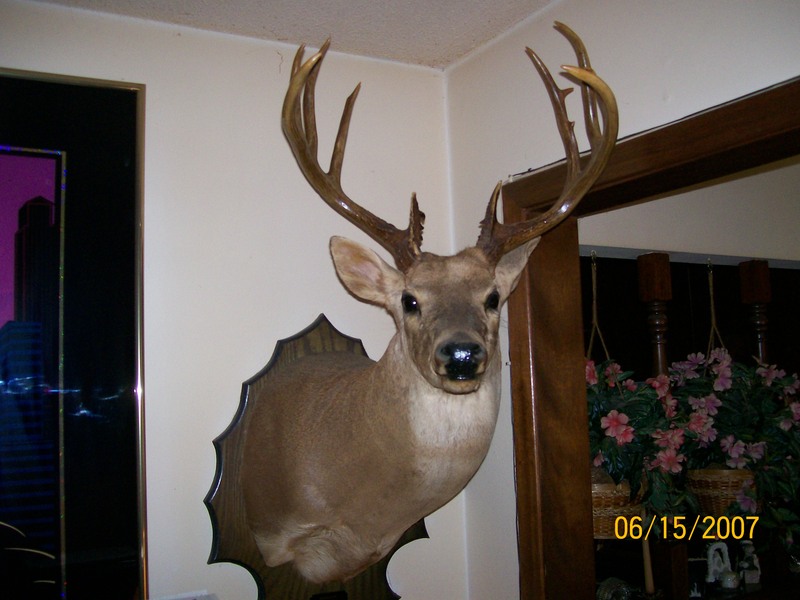 We also know some great locations for those who dont have a Private place to Hunt on Public Hunting Grounds. Hunting and Camping gear like 10 point Cross Bows,Inline Black Powder Guns,Tents,Cammo,Boots,Tree Stands,Feeders anything that Bass Pro have in stock. 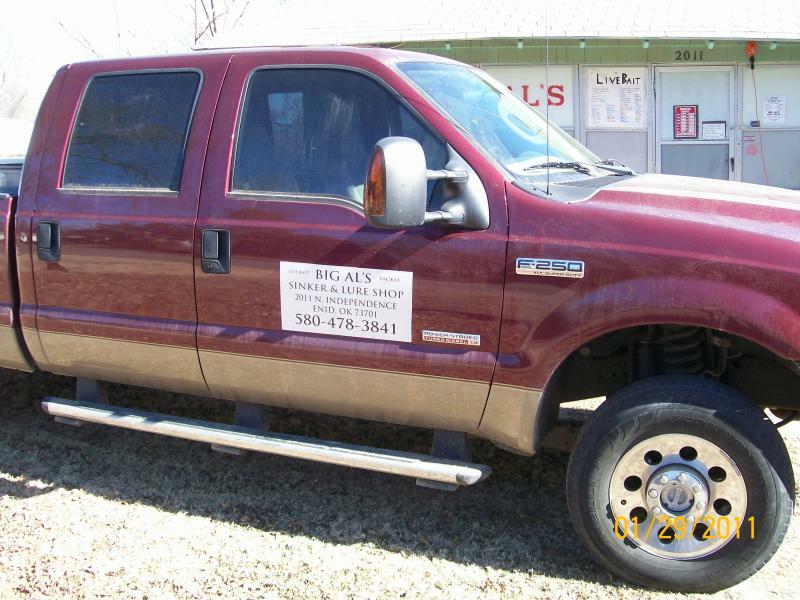 Big Al's can order and have on location within 48 hours. Big Al's is a small business that can save you money. We can get almost anything you want give us a chance to get your business. Big Al's has tube jigs, striper lures and an assortment of fishing line. Big Al's has a large selection of worms, grubs and skirts. Big Al's takes pride in being a bait shop where customers receive friendly, personal attention. We help them get the most enjoyment out of the time they have for fishing. And when time allows we can share fishing stories. Customers can also bring in fishing trip videos which we'll play in the shop. Come in and visit us soon. Stink BaitBill's Cheese and BrainsSonny's Regular and BloodDanny King's Punch BaitTeam Catfish Secret-7Charlie Blood BTeam Catfish Sudden Impact and C J'S Monster and 5 other flavors Crawdad,Wild Hopper,Sweat Charlie,Shad and Minnow. Big Al's is not only a Bait Shop when Hunting season is here Big Al's is a Bass Pro Dealer. 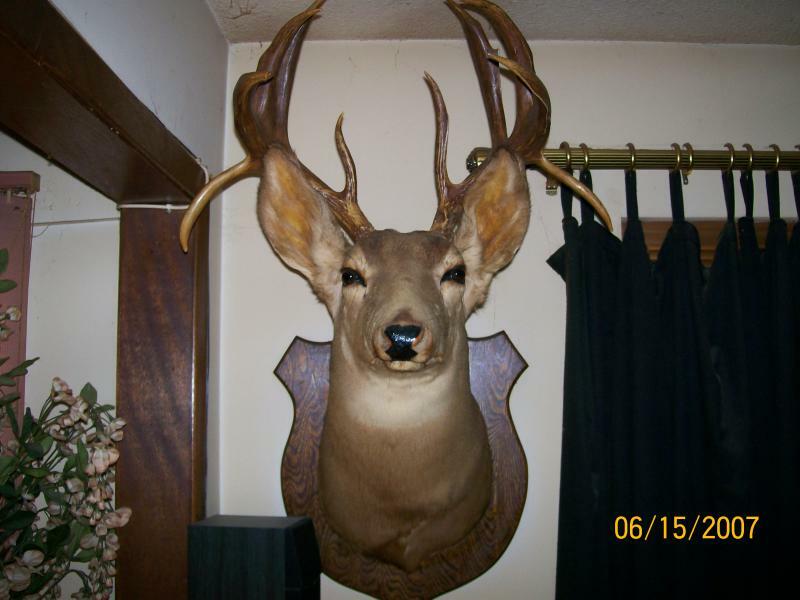 We can also help you save money on your Hunting needs. Night or Day-Hot or Cold-Big or Small and Whatever Fish You want Big Al's can Help. Is Located at 2011 N. Independence Enid Ok. Or Call 580-478-3841. Shop Hours are 10-am to 6-pm Starting Feb 15th 2019 Every Day and Closed Sunday and Mondays. I Just got a Fresh Load of Live Bait in Stock Wednesday the 13th. Big Al's has Small and Medium Arkansas Shiners,Crappie Minnows,Rosie Reds,Salty's and Worms. So if You need Live Bait We have it Now. 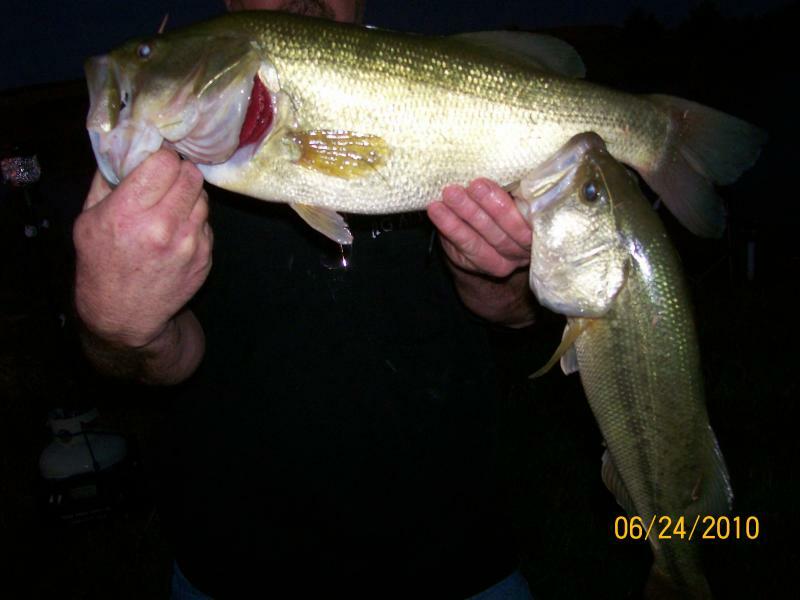 I have Live Bait in the Tanks,Frozen Bait All Year and also You can Purchase all of are Custom Tackle and Rods & Reels. You Must Call Ahead at the Phone Number Posted above. You have 3 Choices 1 Call and talk to Me to Meet Me at the Shop-2 If You Call Me and get My Voice Mail Please Leave a Voice Message or -3 Take a Chance to come to the Shop and if the Red Ford Truck is on Location I am in the Shop or out back Flushing Tanks. If You Don't do one of the 3 it is the time of Year I Take a Break. If I can I will meet Customers but if I am Busy with Family I won't. I am Open On and Off so try and Work with Me. I will Return Back to 8am-8pm 7 Days a Week on Feb 1st 2019. So if You Need anything Call Ahead and set up a Time to Meet with Me Thanks Al. Mondays We are Open after 2pm to Flush Tanks. Customers can get Bait and Tackle until I am Done with the Tanks. Before or After Shop Hours Customers Must Call ahead to set a Time to Meet Me for Bait and Tackle. It will Be a Minimum Puchase That Must be paid By Credit or Debit Card or Cash. Customers must set a time to meet Me in Advance. If a Customer doesn't Show Up for Product. I will not refund the Transaction. There will be No exceptions. Big Al's will get Customers live Bait or Tackle as early as 4am and as late as 10pm. The Price will be a minimum Purchase and vary from the Hours You select. If You don't want to pay the extra price. We have Custom Live wells both 5 Gallon and Larger. We also have Shad Tanks and Fresh Well Water to keep the Live Bait Fresh and Alive all night long. That makes it so You can have LiVE BAIT and be on the Lakes before Sunrise. We can get many other Products. Frozen Bait in 1/4 &1/2 gallon bags. Shad,Skip Jack & Shad Gizzards. Medium & Large Fresh Bags. Degrees every Day no Exceptions. 1960 for 58 Years of Experience. and can't be lost by setting the hook. that are Custom made in My Shop. Page for Fresh BAIT Truck dates. Thank You Al Frye Owner. Activates on a Fish Strike. Big Al's Bait Shop just got a load of Live Bait in stock June 20th 2018. So Big Al's has Live Perch,Small,Medium,Large Arkansas Shiners,Goldfish,Saltys Cajun Crawdads and Canadian Night Crawlers. Big Al's also has Fresh Well Water and Custom 5 Gallon Buckets with Air pumps,Styro Liners,Lids,Net,Custom Handle and a Light inside. These Custom Buckets will keep Your Bait Alive. Big Al's buys Live Bait Trucked in Direct from the Hatchery. 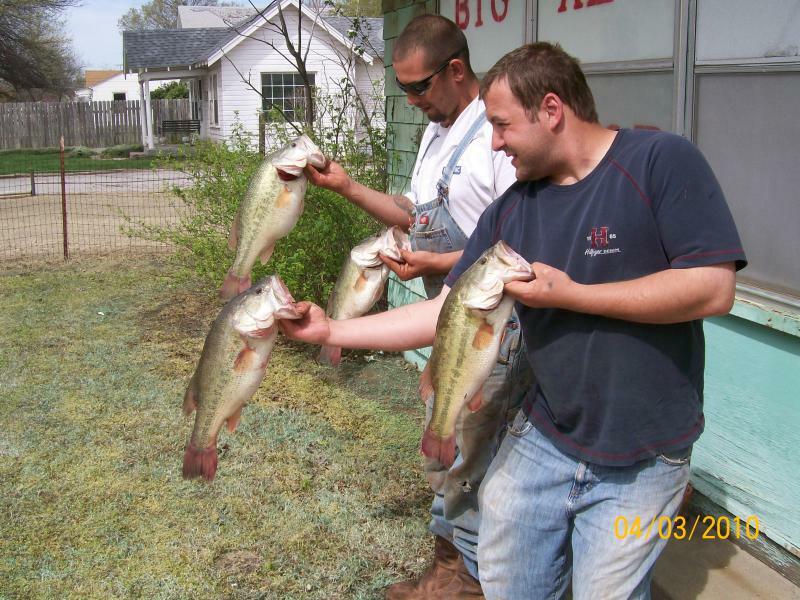 We have the Best Live Bait in Northwest Oklahoma. 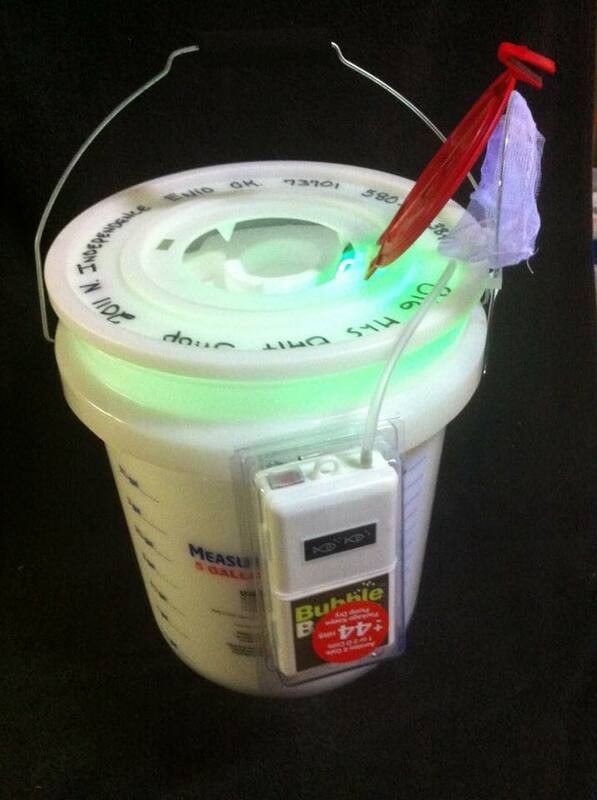 The Live Bait will stay Alive for Days if You Purcahase a Custom Bucket,Tank or Live Well. We will give You Well Water,Ice Bottle and tell You how to keep it Alive. Big Al's Reputation Speaks for itself with the Customers We sell Live Bait to. 2011 N. Independence Enid Ok. 73701 Big Al's is Located just South of Willow St on the east side of the street in a Brown House. Same Location since 1960 call ahead if you need directions. Just call ahead for help or Ring the Bell at the front door for service. Big Al's is a small Mom and Pop Bait Shop that takes pride in giving one on one service to its Customers and looks forward to having your Business. 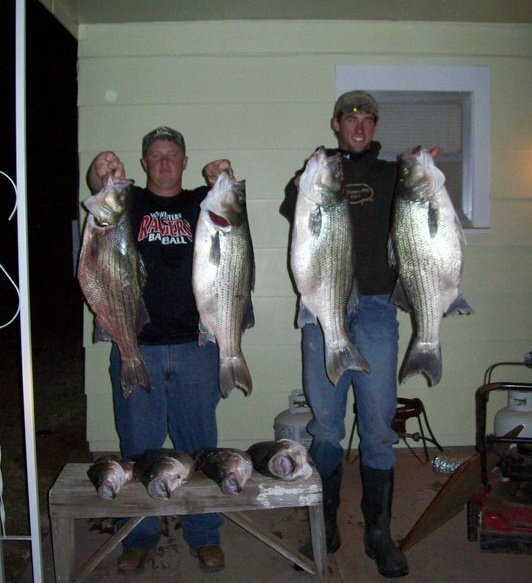 Big al's has the best Live Bait and Largest Selection of Bait in Northwest Oklahoma. 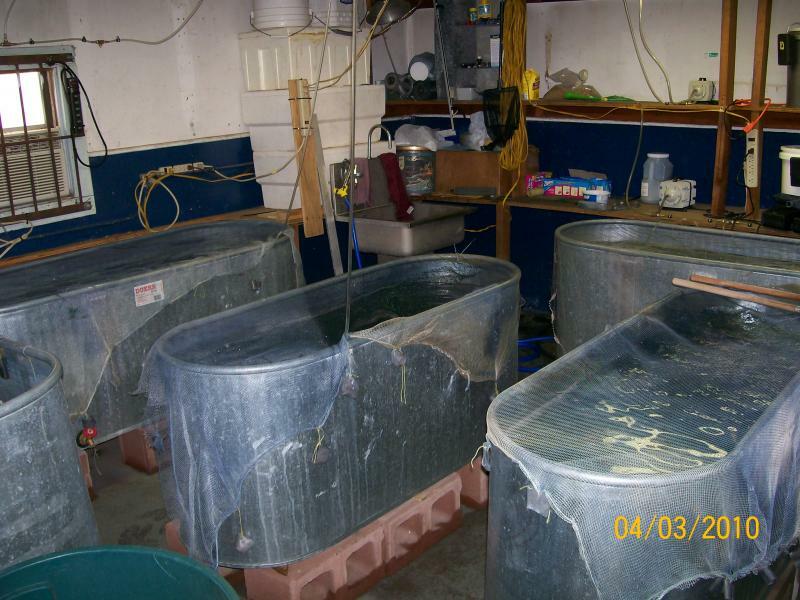 Tanks are Flushed Daily with Well Water and Cleaned before every New Load of Bait. The Live Bait House is also Airconditioned when it is Summer Time. So the bait is very good and I take pride in keeping it this way. Please contact us anytime! We look forward to hearing from you. And share your photos with us at the link above. Adjusted Hours: Starting in June 7th 2018 Big Al's will be Open as the Weather Changes. So call ahead and make sure I am at the Shop. Big Al's Season Hours are 8am-8pm Every Day except Mondays We open at 3pm to Flush the Live Bait Tanks. The Bait Tanks are My Top Priorety on Monday Afternoon's. If the Red Ford Truck is in the Yard I am on Location. You can Find Me, Ring the Bell at the Front Door and after a couple of Minutes If I don;t Answer walk to the Bait House in Back and Check. Then You can Call and Leave a Message. If You don't Leave a Message I will not call You Back. If You Can wait until I finish what I am Doing I will Help You with anything You Want. This is how it Works But the Tanks Come First for New Loads of Live Bait. Big Al's will be Open on all Holliday Weekends and Mondays Like 3 Day Weekends if the Holliday Lands that way.. I will be Closed on all Mondays that are not Hollidays. So call ahead if You need to know Big Al's hours. Call ahead when comming early on weekends please. 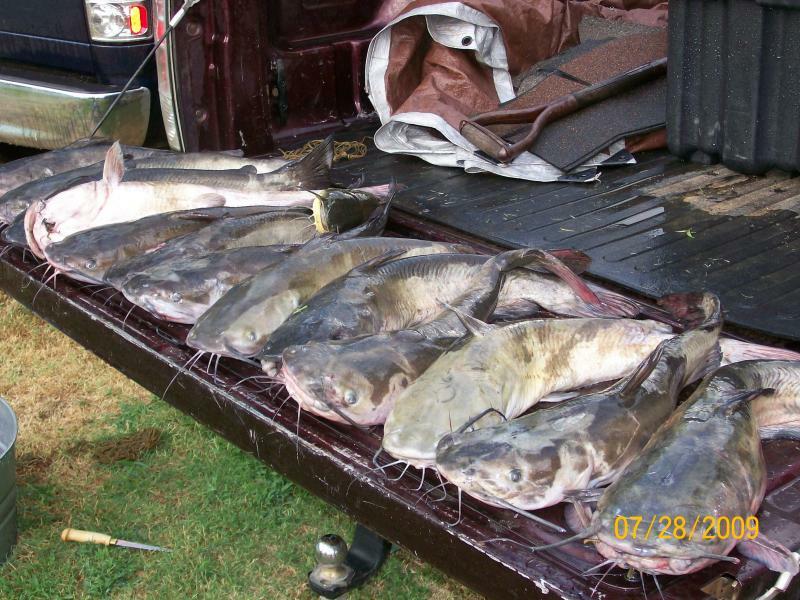 If You Need Live Bait or anything call Me at 580-478-3841 and I will try to be on Location to meet You. if You get My Voice Mail Leave Your Name and Number so I can Contact You to meet at the Shop. Big Al's also has a large selection of Frozen Bait. We have in stock Gallon and Small Bags of Perch,Crawdads,Minnows,Skip Jack, Fresh Shad large and Small,Shad Gizzrds,Shrimp and Mixed bags. We also have Stink Bait Sonnys Blood,Secret 7,Charlies Blood Bait and C Js in Monster,Wild Hopper,Sweat Charlies,Shad,Minnow and Crawdad. 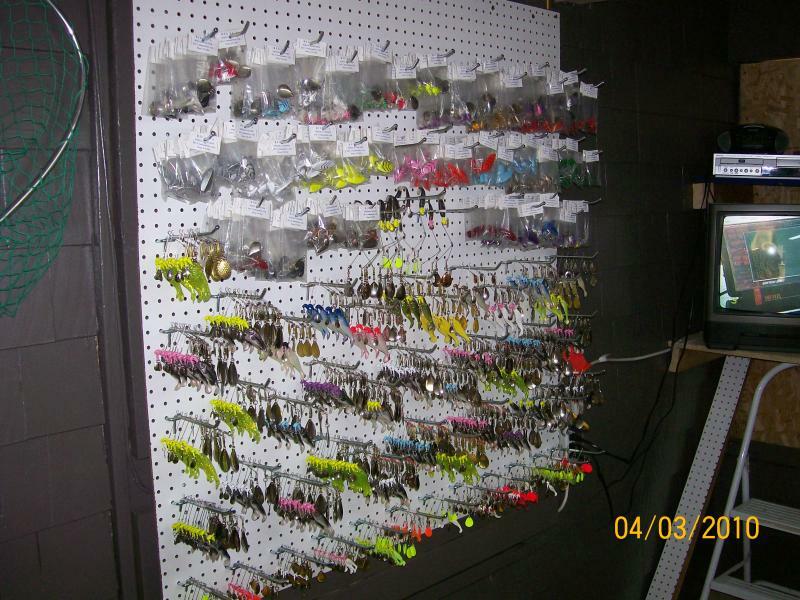 We have over 500 Sinker and Custom Fishing Lure Moldes and Design Hundreds of Custom Fishing Products. Big Al's makes its own Sinkers in many Types and Sizes. We make Custom Road Runners From 1/32 Once up to 1-1/2 ounce in 30 colors and we put bigger hooks in them. We make them painted and have a Large selection of Rubber and Plastic Worms ,Shad and lots of other products in Jars and bags so the Customer can Select one or more of what they need and make there own Color and Size of Lure. If You are lookinf for a good Rod or Reel We have Meat Hunters Regula,Custom and Extreme. We have Penn,Abu Garcia,Okuma,Falcon,Okuma,Eagle Claw,Shimano and many other Types and Sizes of Rods and Reels with good line I gac put on the Reels. Custom sets of Jugs we can make them for You are We have the products You can get to make Yourself. 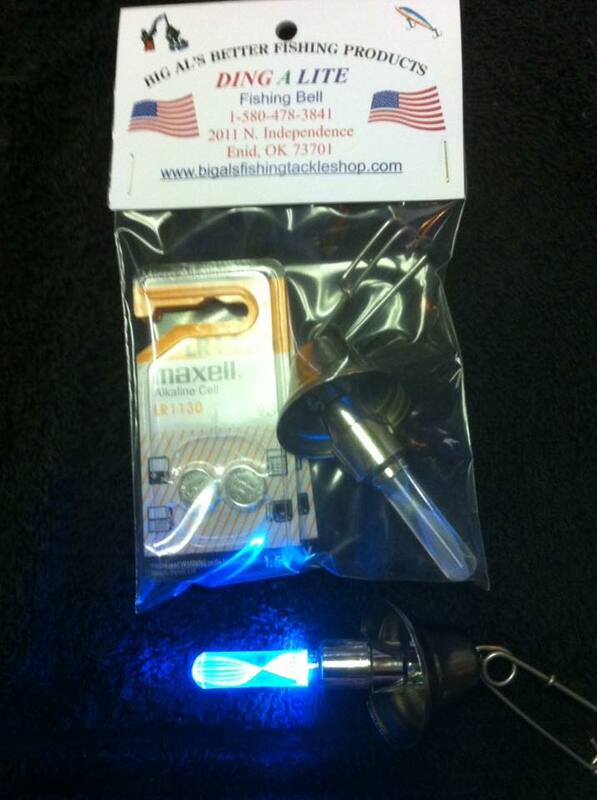 Big Al's has Custom Lures,Lighted Catfish Bellsand Many More Products that You can only get at Big Al's. 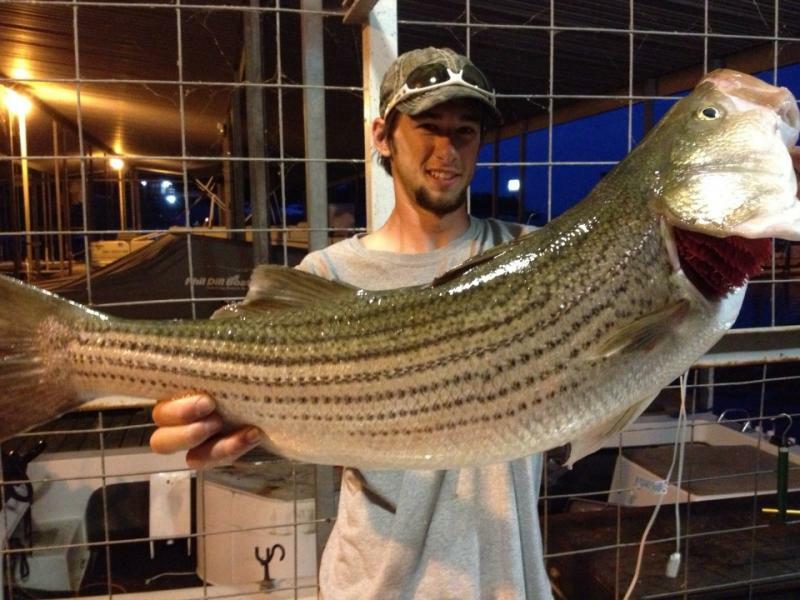 If You want to catch Big Hybrids Like these Big Al's has the Large Live Arkansas Shiners and Custom Lures to Help You. Sooner Lake is very good now to get these Big ones. If You call Big Al's and get the Machine Please leave Me a Mesage and a return Phone Number. I stay Busy with My Shop so I may miss a call. Big Al's has Live Perch,Goldfish,Crawdads,Shiners,Crappie Minnows,Canadian Night Crawlers. Big Al's also has Frozen bags of Shad,Perch,Shad Gizzards,Siners,Crawdads,Minnows,Chicken Livers and Shimp. Big Al's also has 10 kinds of Stink Bait. Sonnys Blood,Secret 7,Danny Kings,Charlies,C J'S Monster,Crawdad,Sweet Charlie,Shad,Wild Hopper and Minnow. Big Al's also has everything you need to fish with Rods,Reels,Hooks,Line,Sinkers,Nets,Custom Live Well Bucketts,Lures,Rubber Worms in many sizes and much more. Thank You for your Business and if You have any questions call Me at 478-3841. New products we now have in stock include Salties and Rosies. The Rosies are great for Crappie fishing, We also have Frozen Skip Jack in for the Big Catfish. 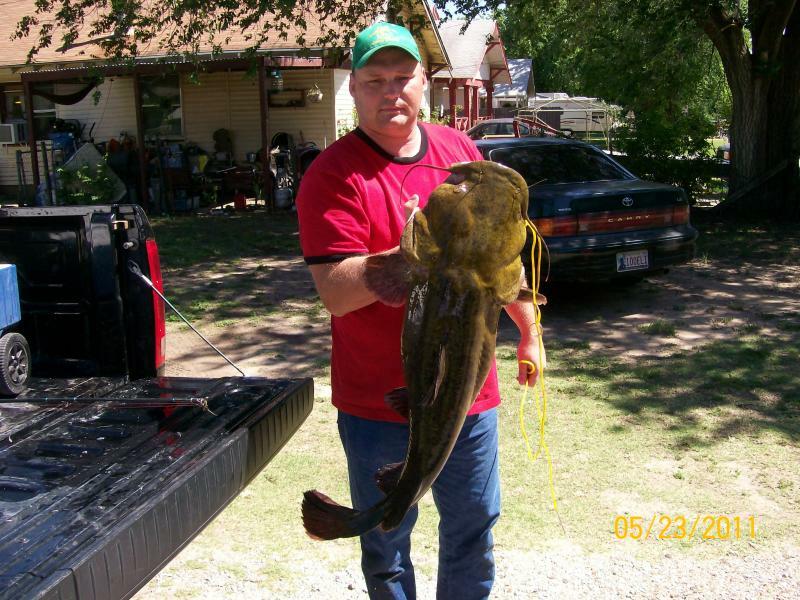 Big Al's will continue to bring the Best Live Bait for its Customers in Oklahoma. 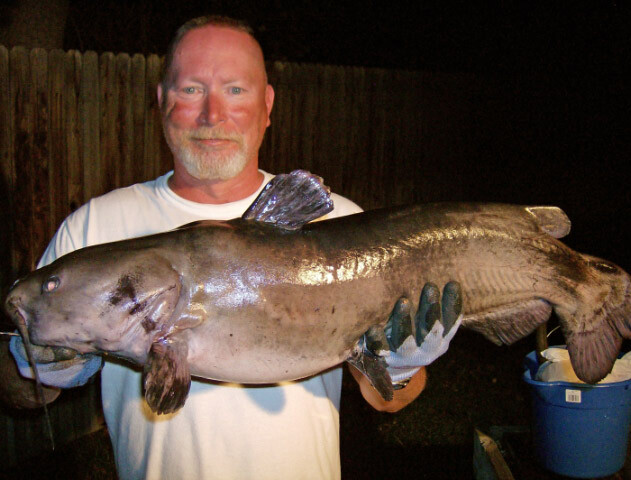 I get Fresh Live Bait each week from Texas Oklahoma,Kansas and Louisiana. So Big Al's always has the best bait for are Customers. The Bait Shop is airconditined and has a water well with very clean cold water. I also work My bait tanks each day cleaning,feeding and flushing the bait to make it the Best Live Bait in this area. Big Als also has in stock almost anything You need from Rods & Reels or the from small to the Largest hook you might need. Big Al's also makes hundreds of hand made custom fishing lures. Some of these lures can only be found at Big Al's. I am always making something new so come in and check out the new products. 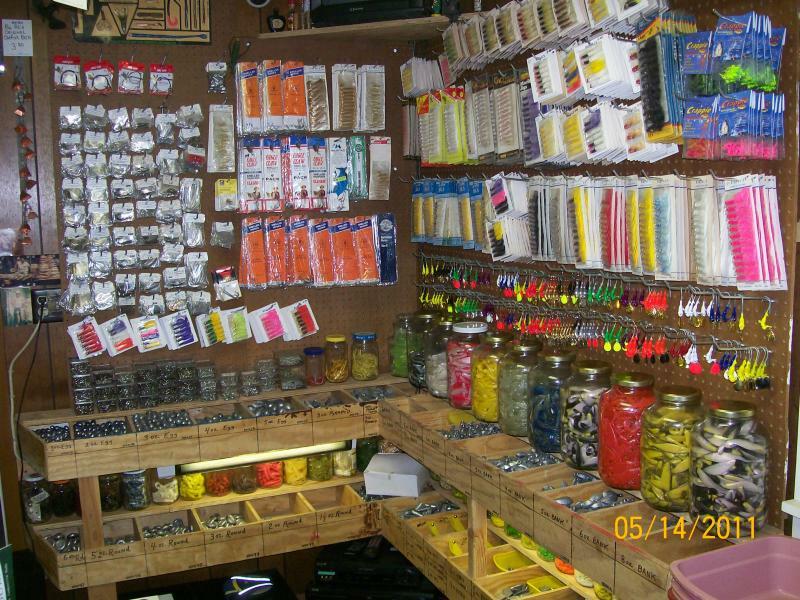 Also at Big Al's the Customer can create there own fishing lure by selecting items from Bulk Jars of many colors and sizes of Products. We call this home of make your own Fishing lure. The Customers will be helped by the Owner of this Shop and I try to carry in stock any other hand made products made in the state in My shop. Big Al's now has New Custom 5 gallon Buckets With Lights inside,Air Pumps,Insulated Liners,Net and easy on the hand Grips. These Buckets will keep You Bait Alive and Fresh for Your Fishing Trip. Keep all Your Bait Alive with Big Al's Live Wells. Never Have Your Bait Die on You again. Purchase a Custom Big Al's 5 Gallon Styro Insulated,Easy Open Lid ,Long Life Big Bubble Air Pump with Custom Pump Holder and Net with light inside. Easy hold handle with are new Bucket. 49.99 And Big Al's will fill it with Clean Cold Well Water and get You the best Bait in Town. Big Al's also makes Custom Ice Chest Live Wells with 2 Pumps Battery and 110 volt pumps.We will also have 10 Gallon and 20 Gallon Shad Live Wells with 12 volt clamps and screens for filtering air supply for the pumps. Great for keeping Live Shad. Big Al's also can give You directions to help You Catch more fish. Big Al's have been helping Customers since 1960 so for over 50 years giving the local Fishermen Advice on how to catch that Big One. 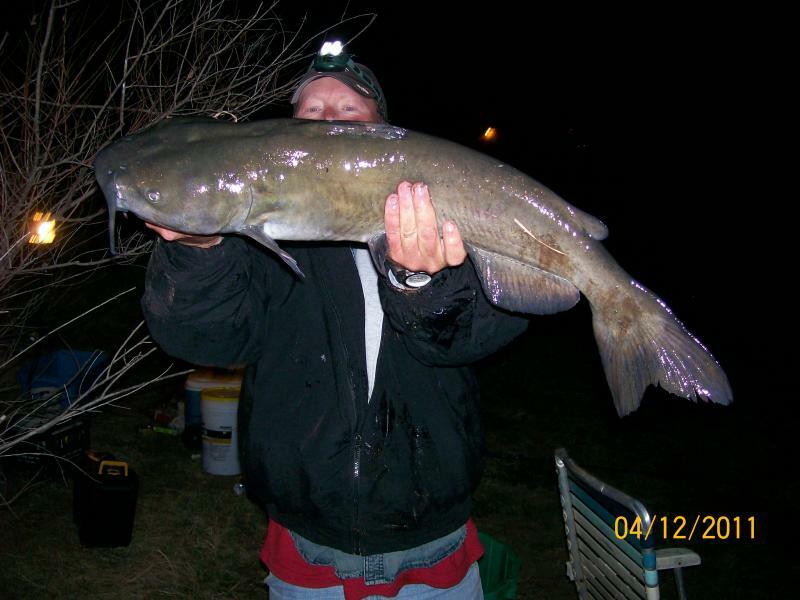 It is a Fact that Big Al's can Help You Catch Big Fish. We have been doing this for 57 Years so this is what We do. Contact Big Al's for Tips on how to Catch these Big Fish. Big Al's takes all Major Credit Cards and We are a Bass Pro Dealer and can help You with Hunting,Camping,Fishing or anything Bass Pro Sales so come see what We can get for You. 5 galon air powered Buckets,insulated with lid net and light inside. Due to temperatures and other variables, times the shop is open may vary some from posted hours. You may want to call ahead to be sure we are here. Your business is appreciated and we don't want to miss you! Big Al's can make alot of Custom fishing Equipment. We have over 500 Molds and can make wieghted treble hooks 8/0-10/0-12/0 and 14/0 for Spoonbill. Bottom Bouncers and much more. Big Al's has a good selection of live bait in our bait house. Cool temperatures are maintained with air conditioning and our water source is a well. The bait is well cared for by daily cleaning and maintenance of the tanks, and by rotation. The result is high quality live bait for our customers. Big Al's has a large selection of sinkers that we make. We also have hooks, hand tied doll flies, swivels, steel leaders, Texas rigs and bottom bumpers. Copyright 2009 Big Al's Sinker & Lure Shop. All rights reserved.